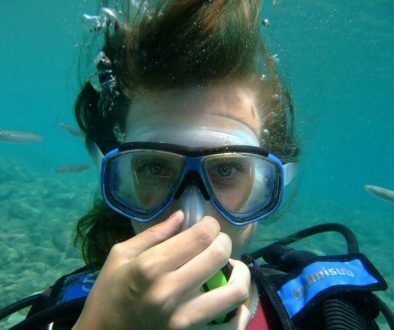 To say that the regulator is important is an understatement seeing as it is what allows you to breathe underwater. Right? So how does a scuba regulator work? Well, I am here to clear up that little mystery for you. Regulators come in many different designs but they all function in the same basic way. 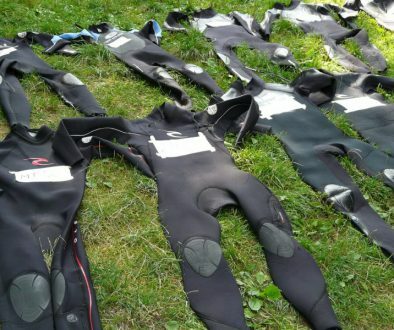 They come with a first and second stage system whose job it is to get the high-pressure air of the scuba tank down to a breathable level for you to breathe with. They can do this via a first and second stage valving system. 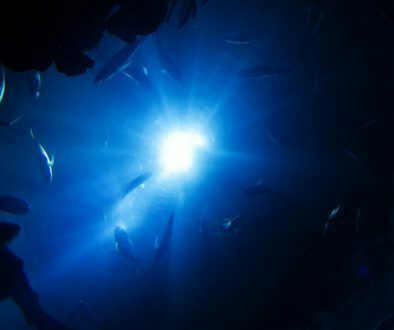 Scuba tanks come in many sizes and are either steel or aluminum but they all have the same valve so that the regulators can be used universally. For more information about scuba tanks just follow this link to my Scuba Tank Review page. The first stage of the regulator is attached directly to the tank via a fitting called a yoke fitting or DIN fitting. The yoke fitting clamps onto the tank valve and the DIN fitting screws directly to the tank valve. You will generally find that DIN fittings are found on a technical diver’s gear rather than the recreational diver. The first stage takes the high-pressure air from the tank, at about 3000 pounds per square inch (psi), and drops it to an intermediate-pressure of about 150 psi. When you breathe in, the pressure in the intermediate chamber drops to below the ambient pressure of the surrounding water. The water then pushes against the diaphragm or piston, which opens the air valve. Air will now flow from the high-pressure chamber to the intermediate-pressure chamber which then raises the pressure in the intermediate-pressure chamber again to higher than the surrounding ambient water pressure. This higher pressure in the intermediate-pressure chamber pushes the diaphragm or piston in the opposite direction thereby closing the air valve and the air stops flowing. This process is repeated everytime you inhale when diving. There are two other design features that differentiate the first stage of regulators from each other and that is they are either a balanced or unbalanced regulator and a sealed or unsealed regulator. A balanced regulator will give you a constant pressure rate of air supply regardless of how full the tank is. In an unbalanced regulator, the air pressure supplied to the second stage (the part you breathe from), will decrease as the tank empties and you will notice a distinct difference in the pressure when the tank is very low. Unbalanced regulators are cheaper to build to so you will find them in the lower end regulators and can be an issue if diving in extremely cold water. A sealed regulator just means that water cannot enter the first stage valve and in an unsealed regulator, it can. This is really only an issue if you are planning to dive on really cold water as in the case of the unsealed regulator, it can freeze up on you. The first stage is also where all the hoses connect to. There are usually up to four hoses connected to the first stage and they are, the primary and secondary second stage hoses, the low-pressure hose and the hose for the pressure gauge. The low-pressure hose usually connects to your BCD. When you inhale through the mouthpiece, the pressure in the chamber drops to below the ambient water pressure. The water pressure pushes on the diaphragm which pushes on the lever of the valve. This opens the valve and the air flows from the first stage intermediate-pressure chamber through the mouthpiece and into your lungs. When you exhale, you increase the pressure in the chamber which pushed the diaphragm in the opposite direction, moving the lever in the opposite direction and closing the air valve. At the same time as you exhale, this pushes the exhaust valve open and the air is pushed out into the water. This process is repeated everytime you inhale. So that is how a scuba regulator works. All regulators should be cleaned with fresh water after every dive and made sure that there is no silt or debris in the regulator. You should also have the regulator serviced at least once a year to ensure proper function of the unit. 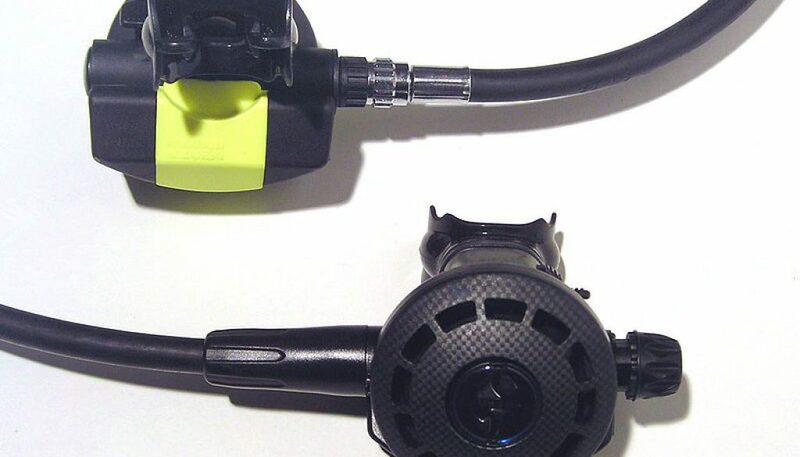 For an in-depth definition of the scuba regulator and its origins just follow this link. And there you have it. So enjoy and have fun and get into the water as soon as you can. If you have any questions or comments please feel free to leave them below and I will be happy to respond to you. The moving pictures really make it easy to understand what actually goes on in a regulator. So unless i’m going gold diving in the Bering sea i’ll be fine with an unbalanced regulator? Hi Anthony and thanks for stopping by. I am glad u found the article informative. Yes for the regular recreational diver in warmer waters the unbalanced regulator is fine. It comes down to a matter of preference and your budget really for warm water diving whether u get a balanced or unbalanced regulator. THough diving for gold in the Bering Sea is fun too, lol, just a little chilly. Hope to see you in the water soon. Good educational information. But what are the chances of a regulator malfunctioning and causing a physical problem or threat while diving? I have a serious want to try diving but I think it scares me a little. Thanks. Hi, Ronnie and thanks for stopping by. Diving equipment these days is really safe and durable. The chances of a regulator failing during diving are VERY slim. I have have been diving since 1978 and have never seen a regulator fail during a dive yet. And the means mine of anyone else’s that I have dived with, so I think you are pretty safe. U should really give it a try, it is so much fun to do and exciting. I hope to see you in the water soon. I did not know that this was just one piece this whole time and that it just came off. I’ve been living my entire life believing this device was connected entirely. Hi Frank and thanks for stopping by. I am glad I was able to clear that up for you. Come on back and I will have more How to’s … in the future. Hope to see u in the water soon.